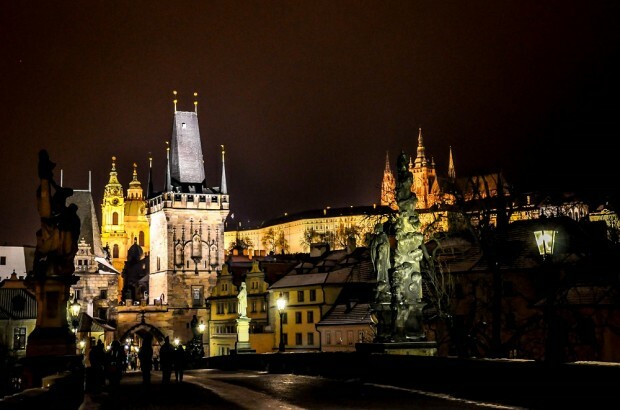 Prague looks like it materialized out of a storybook. 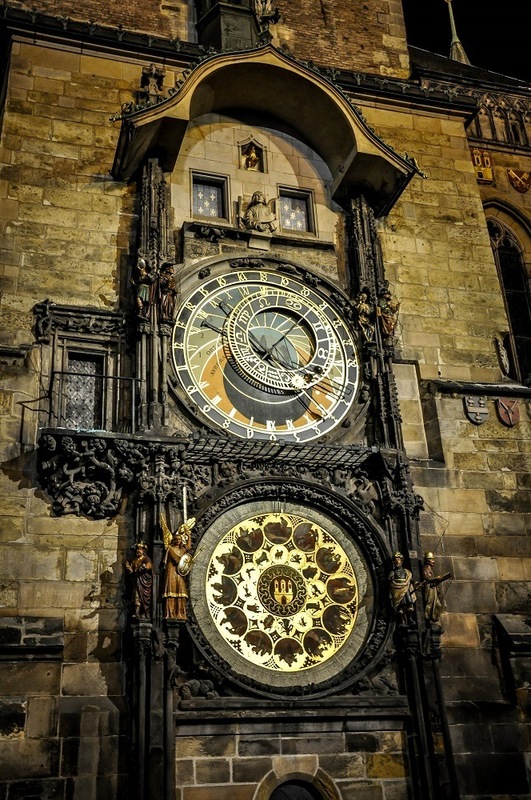 In a city that dates from the ninth century and is a mixture of all kinds of architectural styles, the buildings are different around almost every corner. From the early Gothic Church of Our Lady Before Tyn to the baroque Church of the Savior (or St. Salvator’s Church), every building brings something unique to the city. Because Prague survived World War II without significant destruction, a walk around Prague’s Old Town takes you through hundreds of years of architectural and religious history. And that’s just during the day. At night, Prague architecture is even more dramatic. The churches and statues and castles that are so stunningly beautiful during the day are cast into relief by giant floodlights that illuminate them. The shadows highlight details that are harder to see in daylight and give the buildings and bridges a different feeling of warmth and majesty. 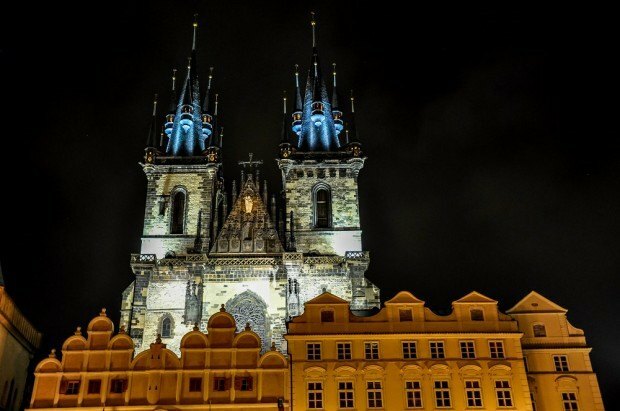 Every night of our trip to Prague, we wandered around after dinner — gluhwein (mulled wine) in-hand to keep warm in the cold air — looking at the spires, domes, statues, and carvings. Here’s a look at some of the most interesting views we found of Prague architecture on our walks. 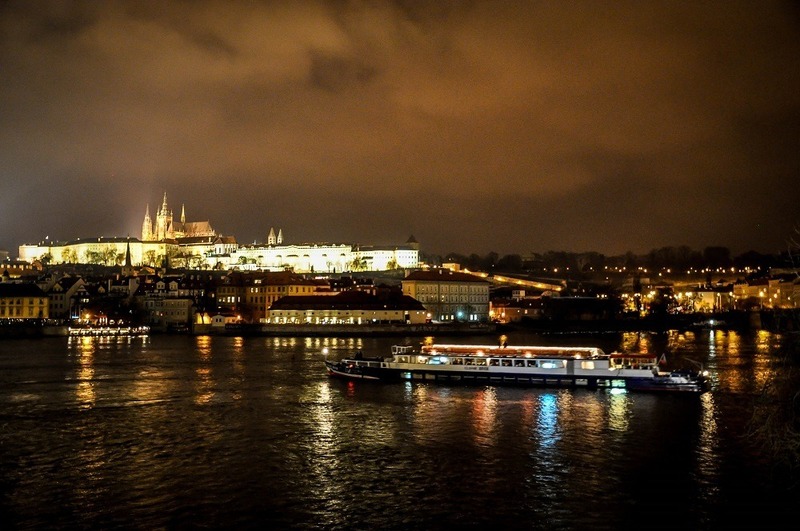 What do you think about Prague Architecture at Night? It was my first trip into Eastern Europe, so I was particularly impressed with how beautiful the buildings were. I think it’s magnified by Old Town being so compact because there’s something different everywhere you look. I took some pictures of Prague at night and they really stunk. I am glad that yours turned out so well. These shots bring back good memories. Gorgeous photos! 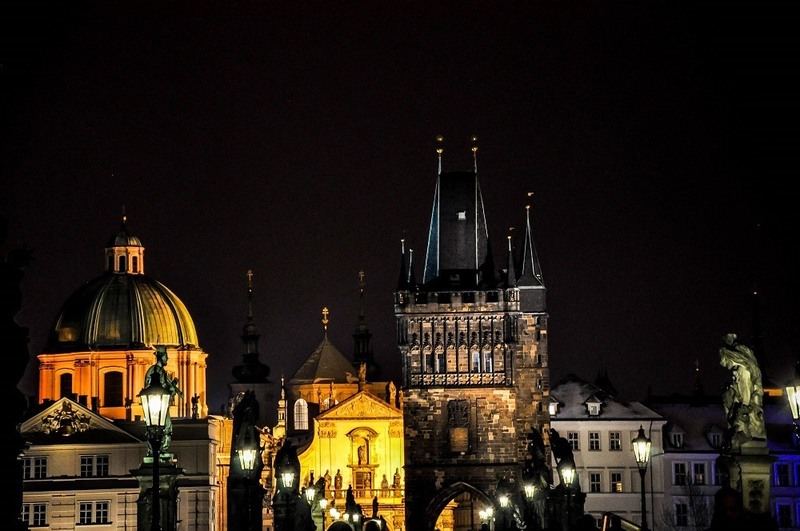 I am on such a Prague kick these days-the only thing keeping me from booking is the distance (long flights plus having to do 2 connections). We’ll see though! Thanks! It’s definitely a bit of a trek, but if you can build a trip around the Czech Republic or somewhere nearby, it’s worth it. People seem to love Cesky Krumlov and some of the smaller towns. amazing pics! 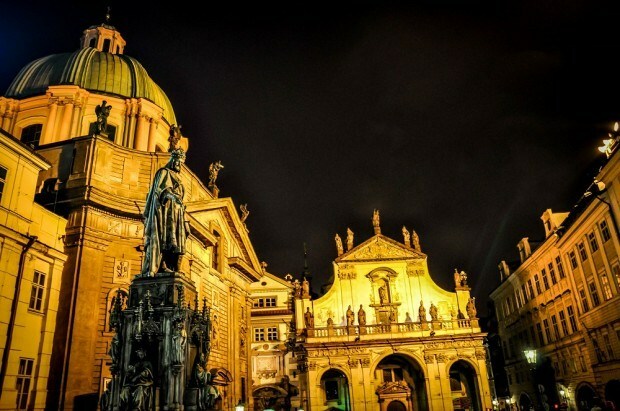 I lived in Praha 2 years ago when I was studying abroad. Reading this article makes me miss that city so much. I will have to return once I am done exploring Asia!